Apps are now an integral part of most people’s everyday lives. Approximately 64 percent of American adults own a smartphone, and these consumers use an average of almost 27 apps each month. With 1.6 million apps in existence, remaining current with all the latest advances can feel overwhelming. Fortunately, you now have this guide to alert you to some of the newest software products. Here are four up-and-coming apps for 2016. 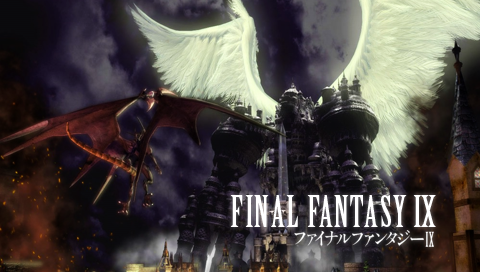 The Final Fantasy series may have an imprecise name, but its popularity has stood the test of time. The first game debuted in 1987 on the Nintendo Entertainment System. In 2016, the 15th official title will launch, although the actual number of distinct titles is over 25 by this point. The best reviewed of them isn’t Final Fantasy VII, despite its perception as the greatest title in the franchise. Instead, it’s Final Fantasy IX, a 2000 release on the original Sony Playstation. Roughly 94 percent of reviewers on MetaCritic.com praised the original version of the game for its sublime gameplay and endearing characters. Amazingly, Square Enix programmers will release an enhanced version of the game for iOS, Windows, and Android tablets and smart devices this year. Expected to cost less than $20, Final Fantasy IX will instantly become the ultimate battery drain for your phone. It’ll take over 80 hours to beat all phases of the game, meaning that you’ll want to upgrade your current model to play it. A smartphone with more than 10 hours of battery life, like the HTC One, is a good investment for Final Fantasy fans. Don’t let the name confuse you. Like many new app names, it’s equal parts gibberish and abbreviation. Wanelo stands for want, need, and love. No, it’s not a dating app. It’s a social media shopping app that’s deemed a competitor to Etsy due to its clever integration with Etsy. Yes, that’s a lot to process. Here’s how Wanelo works. Users compile their wish-lists as well as their recent purchases. Then, they add pictures so that others can appreciate their taste in consumerism. It’s a visually stimulating app with an active client base, and it’s growing at an exponential rate. Businesses are using the program to drive traffic to viral products, and its recent surge in popularity will only enhance its growth. Wanelo is free to download to iOS and Android devices, but you’ll probably spend a lot of money on shopping if you use it a lot. One of the major problems with doing business online is the inability to sign official documents. Back in the days of pen and paper, people entering into a contract agreement had no problem signing on the dotted line. In the digital era of email and texts, however, that’s no longer possible. SignEasy attempts to address the issue. This app will let you “sign” legal documents by using a digital PIN. This code verifies that you authorize the contract and will honor its terms. As more businesses start to accept SignEasy, its societal acceptance will grow. This app could eventually become the PayPal of online signatures, and you can use it on Android, iOS, or as a Web App for as little as $5. Speaking of PayPal, the money transfer process that Elon Musk designed is growing stale. Some customers lament the strict rules and inconvenient steps required to send money via the service. New apps are seeking to bite into PayPal’s market share as the internet leader in digital transactions. Venmo appears to be the best of them, although that’s a bit misleading. PayPal actually purchased it as a smart way to buy out the competition, à la Facebook with Instagram. They did so since the Venmo process is so clearly superior. This iOS or Android app enables direct bank transfers or credit card payments from one user to another, and there’s nothing required beyond the smartphones. One person requests payment, and the other agrees while noting the amount. Each one confirms, and then an email receipt verifies the transaction. You’ll never look at banking the same way again after using Venmo, and it’s free except for a fee for paying by credit card. 2016 seems that it will be another great year for apps. All the suggestions above are free or inexpensive to download, while providing tremendous utility. Try each of them and unleash the true power of your smartphone.